Here's a bit of news from the "Why wasn't it already supported" dept. ComiXology, one of the leading digital comics distributor, has just updated their platform to include a feature which I'm sure their customers have long wanted. They're calling it a Continue function, and it enables you to start a graphic novel in one comiXology app (say, the iPad app) and then continue reading the graphic novel from where you left off in one of the other apps. Note that I'm referring to apps; this does not work yet when reading a comiXology title in a web browser. The apps are also getting some basic sharing options along with the Continue function. 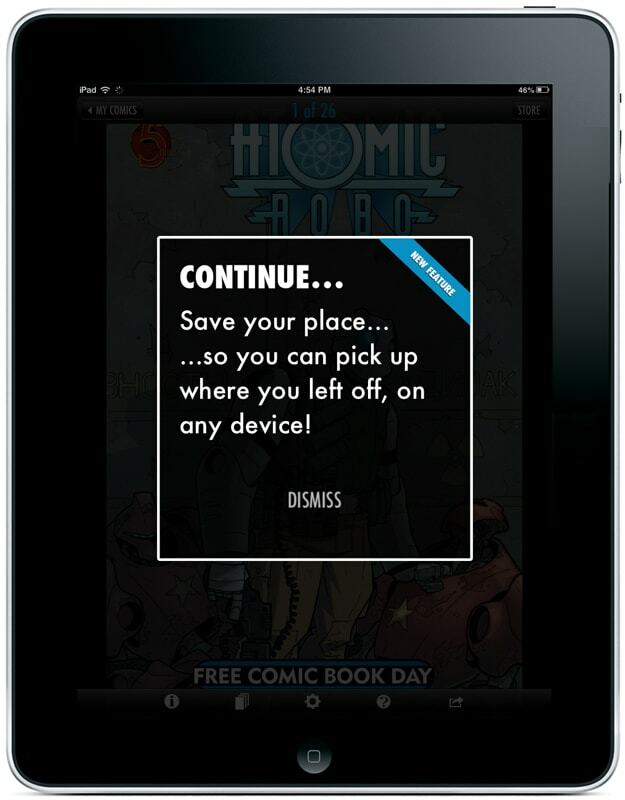 You can now tweet, post to Facebook, or send an email from inside the comiXology app. This distributor and retailer has over 30 thousand issues from more than 75 of today’s hottest publishers, giving comiXology the widest selection of digital comics anywhere. Has the (US) eBook Market Hit the Inflection Point? And yet they don’t have a wish list, in their Android app at least. Sometimes I find a new series that seems interesting, but I’m engaged reading a series and don’t want to start another, so I can’t keep that interesting comic in the app for purchasing later. Probably they’ll loose the purchase.